A well-designed master suite is often responsible for the sale of a home. Not single-handedly of course, other factors come into play as well, but the master suite is very high on the list for many homeowners. Today I want to talk about several master bedroom suite remodeling ideas that we hope to see more of in the near future. Here we go. The idea of a fireplace in the bedroom has been around for centuries. A fireplace that makes the fire visible from both rooms, however, is an entirely different idea. A nice romantic candle lit bath by the fireplace, and then move to the opposite side of the fireplace for a nice, long massage. You have a sink in the bathroom anyway, why not make it more functional? We all have certain pieces of clothing that cannot be machine washed. The hand-washing process could be made much more effective in a sink with jets to help circulate the water, but not damage the clothing. A balcony is a wonderful way to enjoy the outdoors while still in your pajamas. 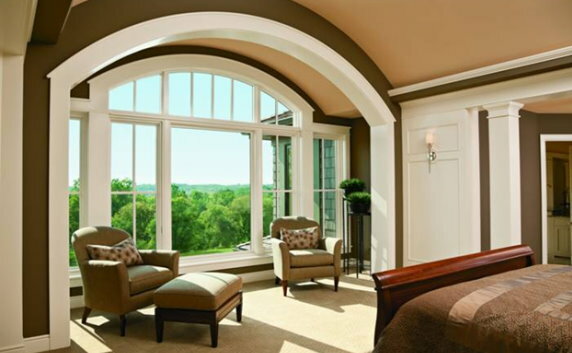 If your bedroom has a window with an amazing view, consider adding French doors, or sliding doors, and a balcony. Everyone deserves a break from the day-to-day activities of the household. It’s usually more difficult for the parents to escape and spend a little alone time than it is for anyone else. Create an area in the master suite that is quiet time for mommy or daddy. This could be a little nook in the bedroom, or a specific seating area by a window. But the most important part – it’s a spot for alone time. The nicest master suites are known for their roomy showers for two. A large open shower provides enough room for two people to shower together for work, or simply to enjoy each other’s company. Large tile or stone walk-in showers are stunningly beautiful and increase the resale price of the home as well. Share your ideas in the comments section. We love hearing innovative ways to remodel the house, especially an area as individualized as the master suite. What do you think about the ideas we shared in today’s blog? Would you put them to use? Call us or email any time to share ideas, schedule a free consultation, or get a quote on a potential remodel job.